Is there anything more magical on a cold Winter morning than the soft glow of a yellow beeswax candle? Gosh, I am not sure there is. And they smell so delicious and sweet! We’ve been lighting these little beauties throughout our day together at home and it always adds a bit of whimsy and charm. It’s special having that tiny flame flickering while we have supper and chatting about our day at the dining table. We also love lighting them during craft time when it’s gloomy out and sometimes while Andrew and I hunker down after putting the kids to bed while we watch Fargo. There’s a sacredness to rituals such as these. And like some house plants, beeswax purifies the air, did you know this? 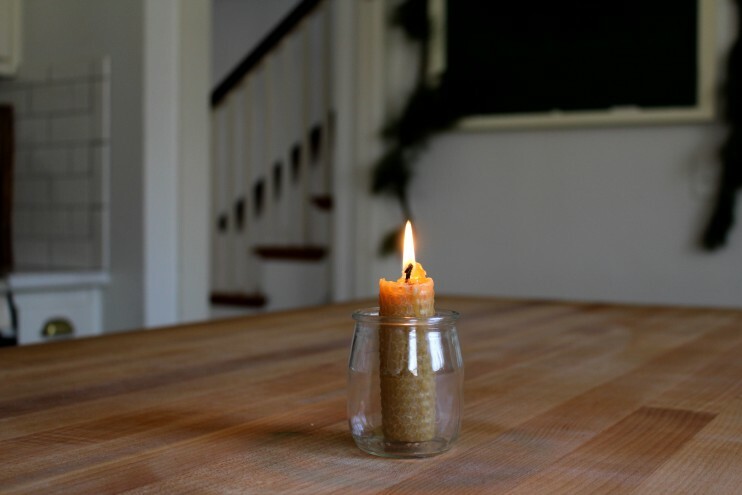 The soft, calming light is one that has become a part of our Winter time rituals, one that the kids love too because sometimes blowing out candles is just about as fun as watching the wax roll down the rows of honeycombs. This year as a simple gift idea I decided to roll some for my dear friends. They are lovely on their own if you have someone in mind that would appreciate a homemade gift, but perhaps with a side of hot cocoa powder or several candy canes they would make for a really nice holiday surprise. Handmade gifts are always the best kind. I am also going to be using these as gift toppers with some pine and holy berries. Festive and easy. The first kit I ordered made for a more muted yellow colored candle. The string was pretty study but not very long, which meant I needed to go to the craft store for more soon after rolling some long tapers. That being said, the height of these candles were also rather tall, which I love, so that made up for the lacking of wick. 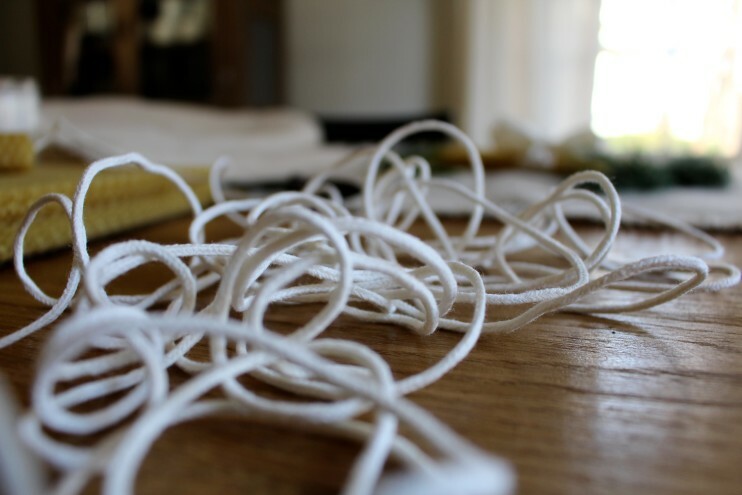 You’ll need a square braid if you do end up getting more. I like the look of a tall, lean taper in a antique brass holder to decorate throughout the year. I also never pay more than a couple bucks for my brass holders, all of them are thrifted and tell their own story. I like to think about all the homes they once lived in, helping provide a cozy glow. The second kit I ordered made for brighter yellow beeswax candles. I honestly prefer the softer more natural look, but these are still stunning nonetheless. The wax itself with this kit was thicker than the previous ones which means sturdier candles, however the sheets were not as tall height wise, about a few inches shorter than the first ones I rolled. There seemed to more wick with this set which was very pleasing! If you follow the photos above you can see how easily they are made. Just fold over and roll. 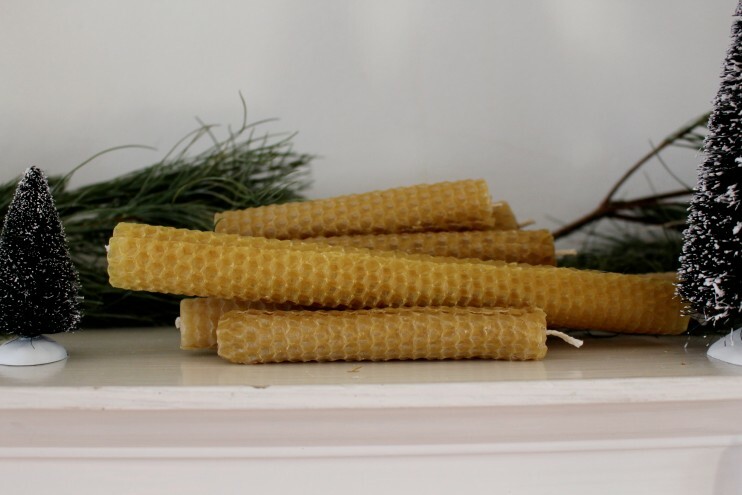 Then trim your wick and cut the beeswax sheets with a sharp knife. Repeat! I found both kits were great and very cost effective, in my opinon. All rolled well and burned beautifully. The kits were just a little different when it got down to the nitty gritty, depending on what you prefer and are wanting your candles to look like. And each kit made around fifteen or so candles, which were all rolled at different widths. One could always roll a giant candle and cut it in half to make a short but wide candle for more burning hours. That would be really pretty. *For those curious, this is not a sponsored post, merely a helpful tutorial for holiday crafting and making your home more cozy during winter time. What a lovely gift to give to friends and family for the holidays! I truly adore your blog and your heartfelt ideas. This is Ricky from Changge Huading Wax Industry Co.,Ltd. We are a factory specialized in manufacturing＆exporting Beeswax, Honeycomb foundation sheet,and Beekeeping Tools etc. Here I just want to establish cooperation relationship with you. We can offer high-quality pure beeswax for you to make candles.